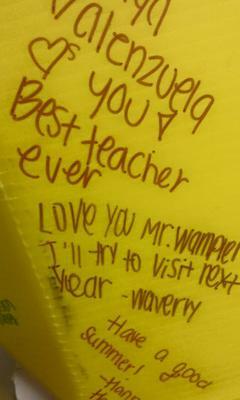 As my students were preparing for finals, one asked if if I had a yearbook that they could sign. I did not, but my solar cooker was sitting out with some markers. 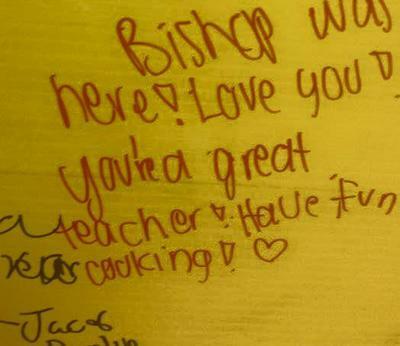 A few students had written things on there during the main event at the end of school. It became a somewhat impromptu post-finals activity for the students. I will miss them! It was a great year. I think if we continue our end of the year solar project, I will make this a yearly thing. These activities are very creative and important to grow the creative skill of the students. Schools play an important role to grow the children for the future. 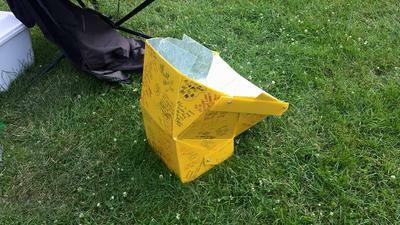 I enjoyed your solar cooker journey and the great detail and insights shared throughout your postings on our site. I hope you do continue with the solar cooker project each year. Have a fun and solar cooking summer!